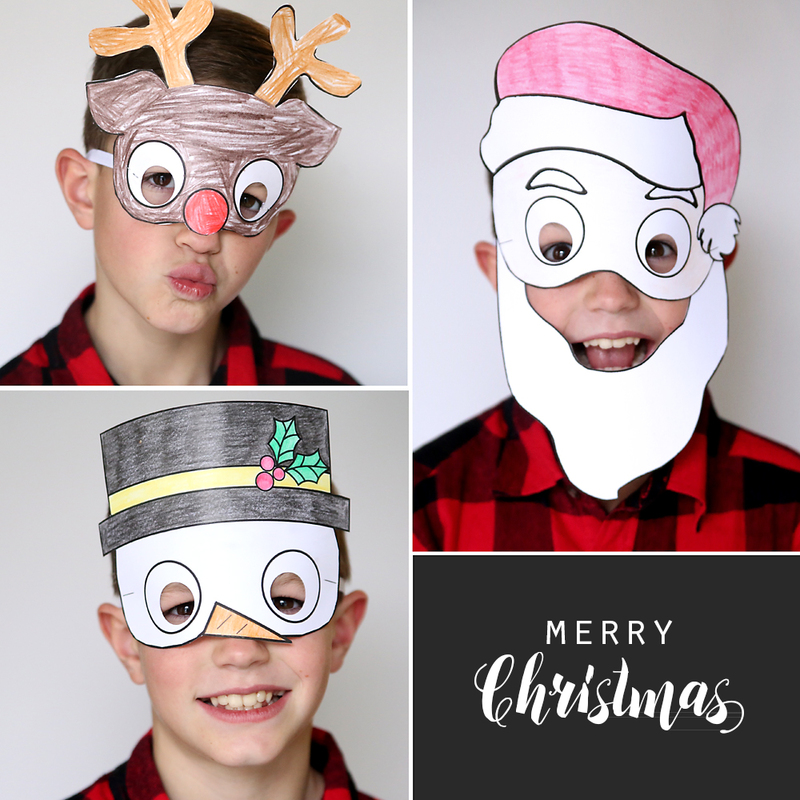 If you signed up to help with the kids’ Christmas party this year, or are just looking for a fun, easy, and inexpensive Christmas craft to do at home, this post is for you. 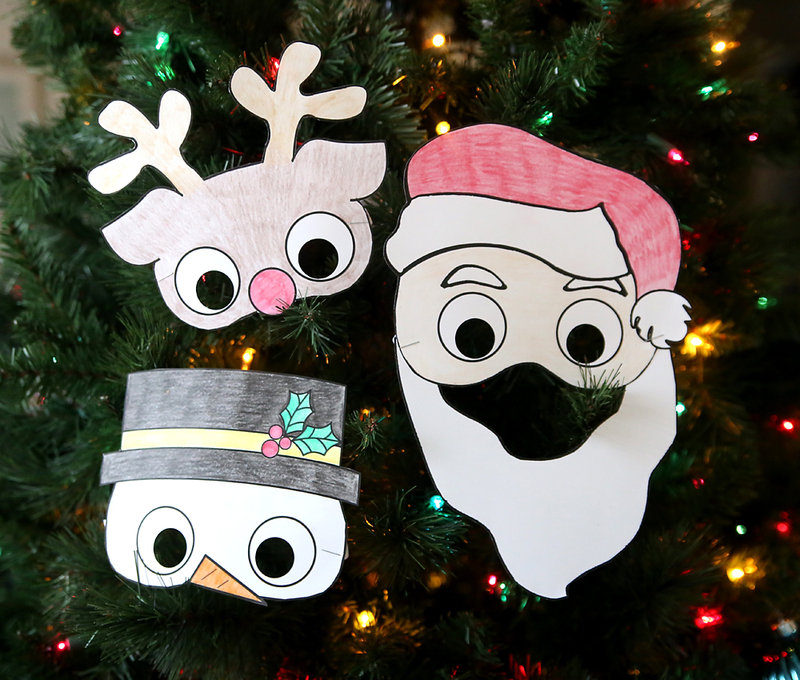 Today I’m sharing free downloads for three holiday masks to print and color. 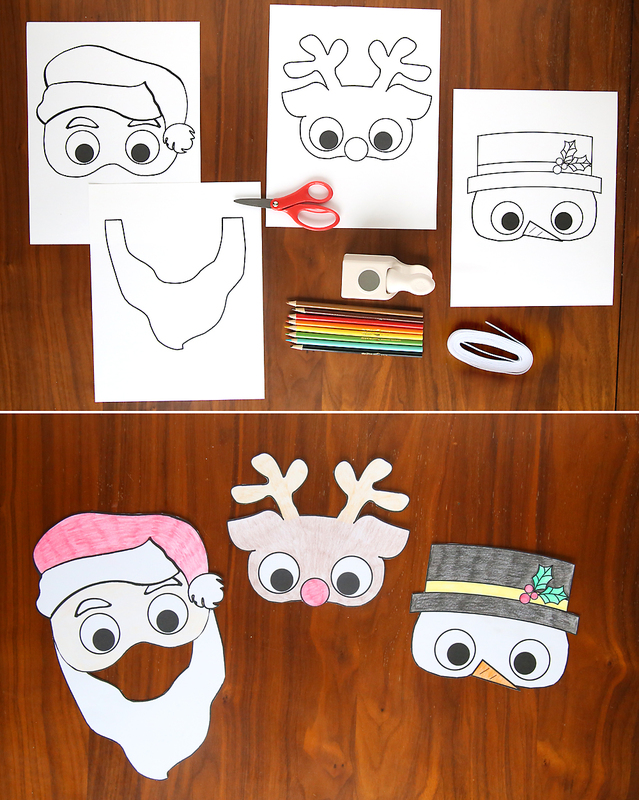 There are three different designs: a snowman, Rudolph, and Santa. All you have to do is print them out on cardstock and let the kids go to town coloring them in. Staple on a little elastic, and you have a fun Christmas mask. Make sure you print the masks out on cardstock or other heavy weight paper so they won’t tear when kids wear them. Once you have them printed, the rest is easy: let kids color them in however they’d like and cut them out. Then use a 1-inch punch to punch out the eyes (if you don’t have a punch, you can let kids cut the eyes out with scissors – they won’t look as tidy, but the kids won’t care). To finish, cut a strip of 1/4 inch elastic to 15 inches and staple it to both sides of the mask. I heard from lots of people who said the Halloween versions of these masks were a hit at their kids’ classroom parties. What’s really nice is that this is an inexpensive craft, even for an entire classroom of kids. The only cost involved is purchasing cardstock (if your school doesn’t already have some), elastic, and a 1 inch punch. I used 1/4 inch elastic, and a 15 inch piece was just right for each mask for elementary school age kids. (The 1/4 inch elastic I purchased came in packages of 3 yards, which means you get 7 pieces from each pack. At about $1.50 a pack, that means elastic will cost around $6 for 28 masks.) This is the punch I used ($7.50 on Amazon, affiliate link).